2 mi. | 380′ ele. gain | 1 hr. The coast range is littered with waterfalls. Hike anywhere in any direction and you’ll manage to stumble across one. They’re all impressive and there are a surprising number of tall cascades in this rugged area. Today’s mission: scout the trail (and the driving directions) to a pair of waterfalls buried in the forest. The bulk of the adventure came from negotiating the twisting, winding logging roads that get back to the trailhead. We successfully landed at the parking area at 1 in the afternoon, a pretty late start by my standards. But this was a research mission for Wild in the Willamette, so I had to make the trek out here. Bundled up in rain gear from head to toe, we made the arduous 1-mile trek down the trail. We crossed several little creeks on footbridges. 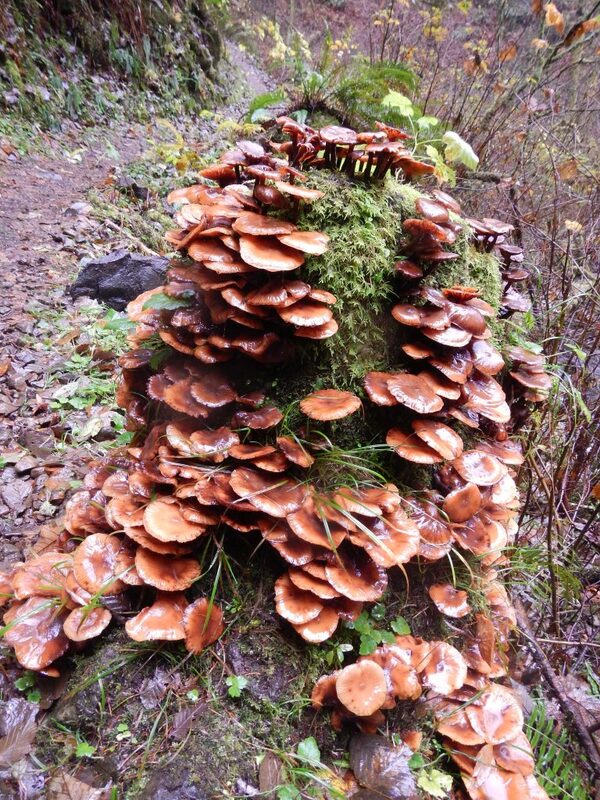 Moss and fungi grew profusely along the forest floor. The trail ended abruptly at a picnic table and a viewpoint of both falls. To one side, Niagara Falls tumbled over a bouldery cliff. To the other side, Pheasant Creek Falls plunged headlong into a pool of water. It was a scenic spot to be sure; it highlighted the coastal forest at its finest. Erratic Rock State Natural Site is located southwest of McMinnville on Highway 18. There is a short trail that leads to an erratic boulder. According to Wikipedia, the rock was originally encased in ice somewhere in Canada. It was transported here during the Missoula Floods. When the ice melted, the rock remained. As a native East-coaster, I was not impressed by the size of this tiny boulder. Massive glacial erratics are scattered across New England and are far more impressive than this little guy. But it is a unique geological feature and, apparently, worthy of its own miniature state park. 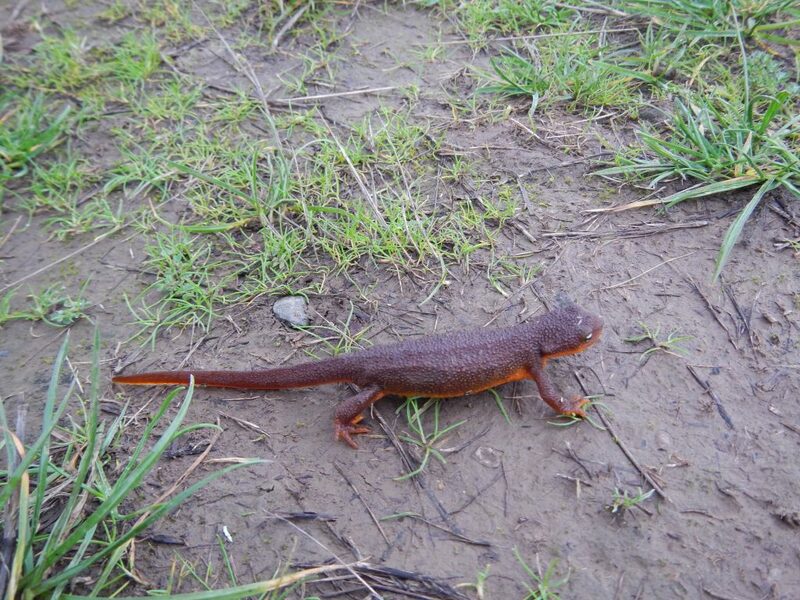 The newt we found while hiking up the trail was more interesting. Oregon is filled with curiosities. Taking time to look at maps opens up a world of quirky roadside attractions, hikes, points of interest and things to do. 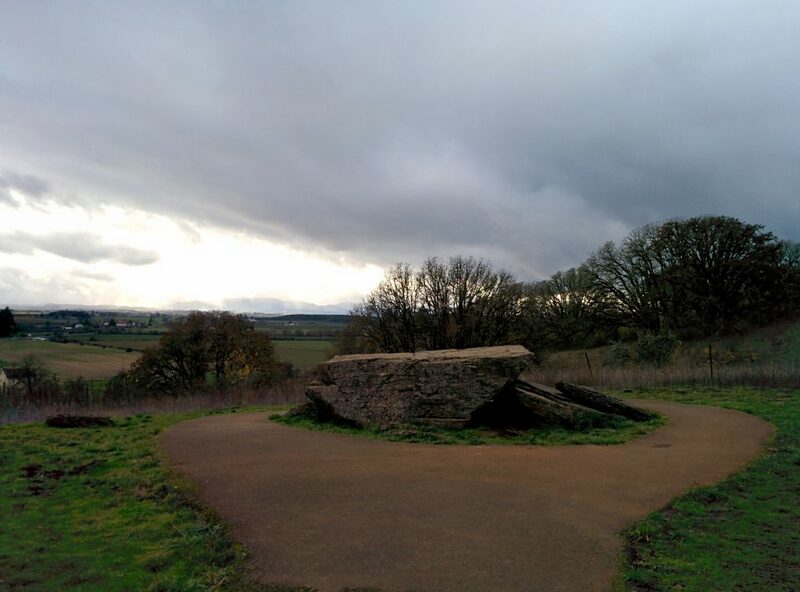 While the boulder didn’t knock my socks off, it was a fun diversion with other interesting things to see, history to read about, and poorly hidden geocaches to find! 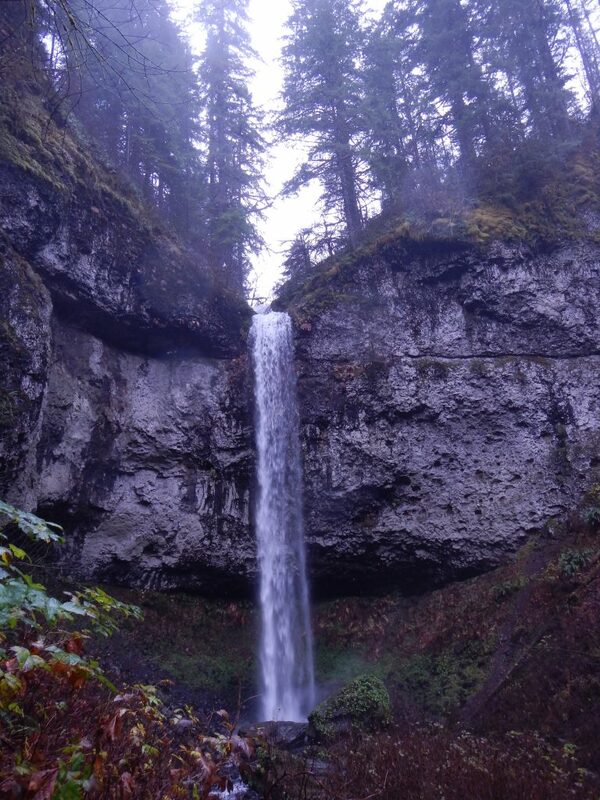 This entry was posted in Hiking, Oregon and tagged hike366 on November 18, 2013 by Jess B.